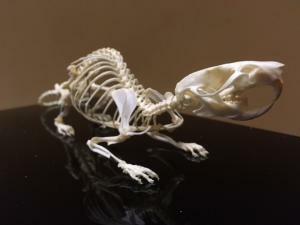 A day-long course in animal skeleton preparation. Learn how to skin, separate the limbs from the body and head, deflesh and prepare small mammal and bird carcasses. Historic England (HE) has an extensive, and growing, collection of animal skeletons that are used by zooarchaeologists for reference. They are therefore experts in preparing skeletons and are delivering this course for NatSCA in Portsmouth in July. Eva Fairnell and Polydora Baker will take you through the steps from carcass to skeleton using material at HE. The course covers everything apart from articulation. There will also be a chance to visit Historic England’s stunning zooarchaeology skeleton reference collection (https://www.historicengland.org.uk/research/methods/archaeology/zooarcha...) and learn about the new National Zooarchaeological Reference Resource (http://archaeologydataservice.ac.uk/archives/view/nzrr_he_2017/). £100 NatSCA Members - please email membership@natsca.org for the promotional code. Coffee and lunch are included. Numbers are limited so please book early to avoid disappointment. Tickets will be on sale until 5pm on 11th June 2018, insufficient interest by then will mean that we will have to cancel - we will obviously notify you immediately if this happens and refund your course fees.